It was not without some hesitation that I undertook, at the request of the family of the late Sir William Fairbairn, a task which, under ordinary circumstances, would have been better performed by a more practised writer. It was, however, considered that, from the peculiar nature of his occupations and pursuits, justice could hardly be done to his biography, except by some one familiar with the technical and scientific subjects it must so Largely treat of; and it was on this ground alone that I felt justified in accepting the proposal. This memoir was written at the request of some highly respected friends, who were desirous that I should leave on record the events of what they were pleased to call an eventful and useful life. To this I consented, on condition that it should not be published till after my death; and then only in case my executors and friends should think it would he for the. benefit of those who have to encounter similar difficulties in life. As most of the account of ray early life was written from memory during a voyage, the narrative will require careful revision and condensation, including such omissions as in the judgment of my friends may be deemed necessary. My work in regard to this has been simply to carry out the revision directed by the author. For the remainder of the biography, which records the important labours of the last thirty or forty years of his life, my data have been derived from his published works and memoirs ;— from an immense mass of his correspondence and papers put into my hands—from information furnished to me by relatives and friends;—and from facts within my own knowledge. I take this opportunity of expressing my thanks to all those who have so kindly given me their aid. I have thought it would add to the interest of the work to give a notice, more complete than had hitherto appeared, of the profession to which Sir William Fairbairn belonged;—one which, although so recent in its origin, has acquired in the present day a magnitude and importance most remarkable. In regard to the general selection of the matter that appears in the following pages, I have been guided by the judgment and wishes of the family; for the literary and technical treatment I alone am responsible. Interest attaching to the Profession of Engineering—Origin of the Term. Engineer—Examples of its early Use—Ancient Engineering Works —Persons by whom they were constructed—The Architect—The Ancient Priests' Title 'Pontifex'—Works in the Middle Ages— Bridges; the 'Freres Pontiers'—Hydraulic Works in the North of Italy—Appreciation of Science—Belidor—Want of Men to execute such Works—Rise of a new Class of Practitioners called Civil Engineers—Engineering in England—Early Works—The New River —British Bridges—Inigo Jones, Labelye, Edwards—True Rise of English Engineering with Brindley and Smeaton — First Use in England of the present Name of the Profession — Smeaton's Successors: Watt, Milne, Rennie, Telford — The Modern Era of Railways—Definition of the Profession of Engineering, and the Occupations comprised therein — Importance of the Profession as estimated by the Magnitude and Value of the Works executed. Mechanical Engineering a Branch of Civil Engineering, and not distinct from it—Early History of Practical Mechanics—Archimedes— Hero—Vitruvius—Works on Mechanics—Mechanical Engineering in England—Peter Morice's Water Machinery—Millwrights—Brindley— Smeaton—The Iron Manufacture — Works in Sussex—Dud Dudley; Darby, and Colebrook Dale—The Iron Bridge over the Severn—Puddling—Cort's Improvements—Welsh Iron Works— Scotch Iron Works—The Carron Company—Smeaton—Watt and the Steam Engine—Connection with Roebuck and Boulton—Soho Works — The Rotating Engine — Albion Mills — Rennie — Great Stimulus to Manufacturing Progress—Later Improvements in the Manufacture of Iron—The Hot Blast—Cleveland and Lancashire Iron Districts—Statistics—Improvements in Workshop Processes, Tools, and Appliances — Early Difficulties, and how they were surmounted — Founding, Forging, Riveting, Shaping — Turning, and Improvement in Lathes — Maudsley — Boring; Wilkinson — Planing; Clement—Shaping and Slotting Machines—Screwing and Screw Threads—Whitworth's Improvements—Development of Au-' tomatic Tools largely due to Strikes among Workmen—Decay of the Millwright Class—Large Structures in Iron—Iron Bridges, Cast and Wrought—Iron Ships—Iron Armour Plates and Forts—Heavy Guns—Fairbairn as a Mechanical Engineer. Date and Place of Birth—Pedigree—Father and Mother—First Schooling—Athletic Exercises—Family Circumstances—Connection with Sir Walter Scott and his Family—Character and Ability of William's Mother—Spinning Competitions—Farm at Moy—Difficult and trying Journey to the Highlands—Ingenious Method of clearing the Land—Farm Improvements—Effect of Residence at Moy —Early Indications of Taste for Mechanical Pursuits—Relinquishment of the Conduct of the Farm—Mullochy School; its Discipline—Further Education with his Uncle at Galashiels—The Psalms of David—Return to Kelso—Employment on an Engineering Work—Serious Accident. Appointment of Andrew at Percy Main Colliery, Northumberland— William joins him—Prosperity among the Pitman and Sailors; its Consequences — Boxing Matches; William's First Victory — Bound Apprentice to a Millwright—Endeavours to improve his Mind—Programme of Study—First Love Attachment; Its influence on his Literary Abilities—Frederick and Felicia—Mathematics, History and Poetry—Mechanical Pursuits—Design for a Clock-Orrery; its Failure—Music and Musical Instruments— The Story of a Fiddle—Home-Brewed Music—Takes charge of the Steam-Engine and Pumps of the Colliery—Severe and trying Nature of the Duties—Subscription to the Keg; its Consequences —Completion of his Term of Apprenticeship—George Stephenson. Search for Employment—Work at Newcastle—David Hogg—The future Mrs. Fairbairn — Discussion Society — The Theatre—The Poet of Plessy—Castles in the Air—Embarks for London—Perils of the Voyage—Arrival in the Thames—The Captain's Walk on Shore—Midnight Murders—Difficulties — Application to Mr. Rennie—The Millwrights' Society—Cold and Hunger—New Use of a Bedstead—Refusal of Permission to work with Mr. Rennie— Walk to Hertford—Discouragement—Sunshine—Chestnut Windmill—Supper—Return to London—Trades' Unions—The Independent Society—Employment and Residence in London—Mr. Hall. Determination to set up for himself in Business—First Order undertaken-—Partnership with Lillie—Patent Claim—Difficulties and Discouragements—Small Orders—The Irishman as a Motive Power —Mr. Murray—Order to rearrange his Mill Machinery—The Poverty of the Land—Nature of the Alterations—Defects observed and Improvements introduced—Their Importance and Success—Repairs on Sundays abolished—New Mill for M'Connel and Kennedy—Reminiscences of Murdoch, of Soho—Rising Fame, of the new Firm of Fairbaim and Lillie—Increase of the Manufacturing Establishment—Constant Occupation. Order from Mr. Buchanan, of Catrine Bank, for New Waterwheels— Mr. Fairbaim visits the Site—Nature of the old Machinery—Improvements proposed—Completion and Success of the New Wheels —Character of Mr. Buchanan—Application from Mr. Escher, of Zurich—Adventures of a Cotton Mill during the War—Lavater— Effect of the Peace in stimulating Industry on the Continent— Account of Mr. Fairbairn's Journey—Posting through France-Lille—Paris—The Old Parts of the Town—M. Fourneyron and his Turbine—Stay at Zurich—The Mills and the Alterations to them —Pleasure Excursions—The Right—Sunrise—Increasing Success in the Business—Mr. Fairbaim joins the Institution of Civil Engineers. Experiments on the Ardrossan Canal—Mr. Fairbairn's Trials on the Forth and Clyde Navigation—Results-—Competition of Railways with Canals—Fears of the Proprietors—Endeavours to introduce quick Passenger Boats—Commission to Mr. Fairbaim to build a new Iron Vessel, to be propelled by Steam-Power—Publication of the Experiments—Mr. Fairbairn's first Literary Essay—Contents of the Book—Dr. Henry's Opinion on the Style—The 'Lord Dundas—Description—First Trial on the River IrweU—Mr. Fairbairn's Anxiety—Results of the Trial—Mr. George Rennie—Other Trials—Departure of the 'Lord Dundas' for the Isle of Man— Deviation from the proper Course—Errors of the Compass—Mr, Fairbairn follows—His Search for the Boat—Correction of the Compass—Arrival in the Clyde—Further Trials—Final Result— Letter to the Baron Dupin—Influence of this Event on Mr. Fairbairn's Career—New Speculation in the Egerton Dye-Works— Failure—Misunderstandings between Mr. Fairbaim and Mr. Lillie —Resulting Dissolution of Partnership. Iron Ship-Building—The e Manchester' Canal Steamer—Other Iron Vessels—Establishment of a Ship-Building Yard at Millwall— Competition—Difficulties and Anxiety—Perseverance and Energy —Evening Meetings for Discussion—Proposed Establishment of ' The Workshop' Periodical—Hodgkinson—Woodcraft—Nasmyth —Literary and Scientific Ambition—Soham Mere Drainage-Report on the River Bann—Mr. John Frederick Bateman—Recommendations adopted—Construction of Reservoirs—River Don— Experiments and Investigation on hot and cold Blast Cast-iron in conjunction with Mr. Eaton Hodgkinson, for the British Association—Paper for the Manchester Literary and Philosophical Society—The Riveting Machine—Mr. Robert Smith—Patent taken out. Commission sent by the Sultan to England—Their Report—Application to Mr. Fairbaim—He visits Constantinople—Death of the Sultan—Ohanes Dadian—Exploration of the Country—Animated Boulder Stones—Survey of the Government Manufacturing Works —Their Imperfections—Astrological Considerations about casting a Gun—The Seraskier's Dinner Party—English Railways—Trades in the open Air—Mr. Fairbairn's Attempt to imitate the Turkish Workmen, and ignominious Failure—Large Orders—Second Mission to England—Investigation regarding Iron Ores—Paper for the Institution of Civil Engineers—Telford Medal—Account of a large Woollen Factory—Complimentary Letter, and Decoration from the Sultan. Conclusion of the Autobiography—Data for subsequent Chapters-Professional Matters—Haarlem Lake—The Manchester Geological Society—Further Experiments on Oast-Iron—Letters from a Fellow-Labourer—Accidents in Factories—Patent for Improvements in joining Metal Plates—The Smoke Nuisance—The use of Iron for large Buildings—Fires in Liverpool—Fire-Proof Constructions—Fall of a Mill at Oldham—Bridge at Basle—Iron Structure Commission of 1847—Mr. Fairbairn's Evidence—Water-Wheels with ventilated Buckets—Personal Matters—Pupils—Dr. Birkbeek—Miss Fairbairn's Marriage—Death of Mr. Fairbairn's Father—Haydon, the Artist—Proposed Wrestling Match with George Stephenson. Mr. Fairbairn's Book on the Subject—Origin and early History— The Chester and Holyhead Railway—Mr. Stephenson's original Idea — Mr. Fairbaim consulted by him — Doubt as to the best form of Tube, cylindrical, elliptical, or rectangular—Nature of the Strains—Weakness of the upper Part—Mr. Eaton Hodgkinson—Corrugated Top—Reports to the Directors—Proposed use of Suspension Chains—Mr. Fairbairn's Confidence—The large Model—Drawings for the Bridges—Definition of Mr, Fairbairn's Position—Resolutions of the Directors—Commencement of the Construction of the Conway Bridge—Contracts for Ironwork— Erection and fixing—Completion—Retirement of Mr. Fairbaim —Publication of the Book—Assistance of Eminent Men—Patent for Tubular Bridges—Extensive Manufacture of them. Application to Mr. Fairbaim—Proposed Chain Bridge—The Chevalier Bunsen—Mr. Fairbaim visits Berlin—Reception by the Baron Yon Humboldt—Presentation to the King—Correspondence with Humboldt and Bunsen—Mr. Fairbairn's Impressions of the Berlin Journey—Visit of Commissioners to England—Letter to Mrs. Edgeworth—Invitation by the Prussian Authorities for competitive Designs on the Chain Principle—This Principle abandoned —Second Mission to England—Complete Design sent in by Mr. Fairbaim—Adoption of the general Principle—Rejection of the Tubular Form of Girder and Preference for the Open Lattice-Final Correspondence. Culminating Point in Mr. Fairbairn's Life—Effect of Controversies— The Royal Society of London—Mr. George Rennie—-Certificate-Election as F.R.S.—The National Institute of France—Its Foundation and Constitution—The French Academy and Johnson— Vacancy—Mr. Fairbaim proposed aa a Candidate—Commission of the Academy of Sciences—Correspondence with Arago, Dupin, Morin, Poncelet—Water-Wheels—Election—The Athenaeum Club —Its Objects and Mode of Election—Rule II.—Mr. Fairbaim elected without Ballot—Minor Honours. Steam-Boilers—Mr. Fairbaim engaged largely in their Construction —Improvement in their Design—The Two-Flued, or Lancashire Boiler—Boiler Explosions—Their Frequency in the Manufacturing Districts—Mr. Fairbairn's frequent Evidence at Coroners' Inquests — Lectures at Leeds and other Towns—Paper at the British Association—Foundation of the Association for the Prevention of Boiler Explosions—First Ideas—First Steps for the Formation of the Society—Fairbaim and Whitworth—Notices by the Press—Preliminary Meetings—Formal Establishment—Mr. Fairbaim becomes President—Present State of the Association—Theoretical Investigations undertaken by Mr. Fairbaim—Paper to the Royal Society —The Resistance of Tubes to Collapse—The Strength of Glass— The Properties of Steam—Letter from Regnault—Legislative Interference in regard to Steam Boilers—Mr. 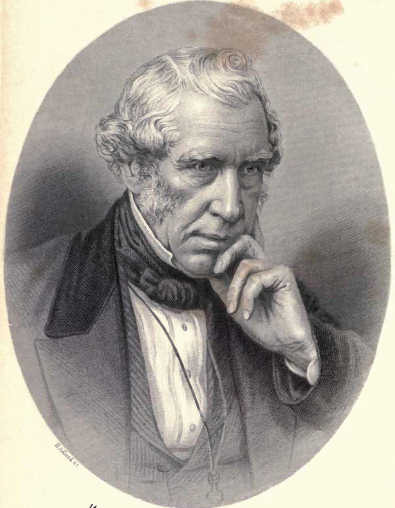 Fairbairn's Opinions thereon—Committees of the British Association and of the House of Commons—Sir William's late Improvements in Boilers—Communication with the Association near the Close of his Life—Tribute by them to his Memory. Mr. William Hopkins of Cambridge—His Investigations in the Application of Mechanics to Geology—Igneous Origin of the Earth— Condition of its Crust—Internal Heat—Scientific Discussions—Experiments wanted of a practical Nature—Application to Mr. Fairbaim—Experiments begun in 1851 — Grant of the Royal Society — Mr, Joule—Professor "William Thomson — Ingenious Magnetic Indicator — Scientific Correspondence between Mr. Hopkins and Mr. Joule—Progress of the Experiments—Liverpool Meeting of the British Association in 1854—Mr. Hopkins's Illness and Death—Conclusions drawn from the Experiments. Mr. Fairbairn as a Manufacturing Engineer—The Manchester Works —Their Origin—Improvements in Driving Machinery—Water-Wheels—Testimony to their Efficiency—Dissolution of Partnership—New Branches of Business—Ship-building—The Manufacture of Steam-Engines and Boilers—Locomotives—The Tank Engine—Work for Constantinople—Entrance of Mr. Fairbairn's Son into the Business—Liverpool Landing Stage—The Tubular Bridge Patent—Improvements in the Steam-Engine—Caisson for Keyham Dockyard — Express Locomotives —Tubular Cranes — Strike of the Engineering Workmen—Letters of ' Amicus' to the 4 Times '—Lord Shaftesbury—The Small Arms Factory at Enfield—Saltaire Woollen Factory—Great Prosperity of the Manchester Business—Retirement of Mr. Fairbaim—Flour-Mill and Bakery for the Crimean War—Rebuilding of Viaducts on the Manchester and Sheffield Railway—Limited Liability Company—Winding Up. Contrast with the Manchester Business—Early History of Iron Ship-building—The 'Aaron Manby' and Sir Charles Napier— Mr. Fairbairn's early Experiments—Choice of a Locality for the Ship-building Manufacture — Millwall—Outlay — Management — Orders—Work for the Admiralty, the East India Company, and the Mercantile Marine—Royal Pleasure Yachts—Patents—Difficulties—Competition—Want of Experience—Unfavourable Reports as to Mr. Fairbairn's Credit—Depression and Anxiety—Resolution to get rid of the Works — Their Sale — Mr. Fairbairn's Sons —Large amount of Loss by these Works. Application of Iron to Defensive Purposes—Change in the Construction of the Navy—Iron Ships—Refusal of the Admiralty to adopt the new Material — Ignorance and Prejudice in regard to it— Rifled Guns and Shell—Casing of Timber Ships with Iron—The Emperor of the French—The Russian War—1 La Gloire —The ' Warrior' — Iron Armour — Plan of first doing a Thing and then enquiring how it should he done — Appointment of the Iron Committee — Their Labours — Evidence — Experiments — Nature of the Material—Mode of Manufacture—Hammering and Rolling—Form and Material of the Shot—Law of Resistance of Plates—Mode of applying the Armour to the Vessels—Wood Backing—Minor Particulars—Experimental Targets—Mr. Fairbairn's Contributions to the Committee—The Gibraltar Shield. Visit to Northern Europe—Interview with the Emperor of Russia— Medal from the King of Sweden — Inventors, Letter from Mr. Cobden — Exhibition of 1851 — British Association at Hull — Cooling Air in Hot Climates — The Institution of Mechanical Engineers—Business in France—Mr. Babbage—French Exhibition of 1855—Backwardness of English Design—Lord Ashburton—The Legion of Honour—James Watt—Henry Cort—Manchester Art Treasures Exhibition—Journey to Italy—Atlantic Cable—Manchester Literary and Philosophical Society—Gold Medal from the Royal Society—President of the British Association at Manchester in 1861—Offer of Knighthood—Richard Roberts—Honorary Degrees—British Association at Cambridge—International Exhibition of 1862—Baronetcy. Mr. Fairbairn a voluminous Writer—Tubular Girder Bridges—Paper for the Royal Society—Effect of repeated Meltings on Cast-iron—Application of Iron to Building Purposes—Article 'Iron' in the 'Encyclopaedia Britannica'—'Useful Information for Engineers'— Self-Acting Brakes—The Strength of Iron Ships—Second Series of 'Useful Information'—Effect of vibratory Action on Girders— Mills and Mill work—Iron Ship-Building—Third Series of 'Useful Information'—Contribution to Baines's 'Lancashire and Cheshire' —On the Durability of Iron Ships—Mr. Fairbaim as a Lecturer— His Last Address—Mr. W. 0. Unwin. The Fairbairns a long-lived Family—William's robust Constitution —First serious Illness—Reaches his Seventy-eighth Year—Loss of his Eldest Son—Letters from Sir David Brewster and Dr. Robinson—Complaints—Obliged to give up Romping and other juvenile Propensities—Owens College—Bronchial Attack—Visits to Brighton and to Holland Park—Marriage of his Grand-daughter—1 Give her a Round '•—Visits to Mr. Bateman—Last Days at Moor Park— Death—Bishop Sumner—Funeral—Obituary Notices—Memorial by the City of Manchester. The Golden Wedding Day—Sons and Daughters—The present Baronet—The Royal Family, the Prince Consort and the Prince of Wales—Offers of Rank—House at the Polygon, Society there— Mr. Fairbairn's Character—Business Integrity—Domestic Letters —New Stock and Barrel—Two Moons—Opinions on worthless Schemes—Religious Feelings, Cross Street Chapel, the Rev. W. Gaakell, Rival Hymn-Books—Peculiar Notions of Religious Toleration—Novel Reading—Correspondence with Mrs. Gaskell—Professional and Scientific Character—Personal and Private Traits— Indefatigable Activity—Regular and punctual Habits—Liberality —Popularity—'There's Fairbairn! '—Fondness for Children—Moral. Appendix - List of Sir William Fairbairn's Published Works and Papers. You can now download this book here!